Renowned German carmaker, BMW, recently revealed the latest iteration of the BMW Z4 roadster at the Pebble Beach Concourse d’Elegance during the Monterey Car Week. 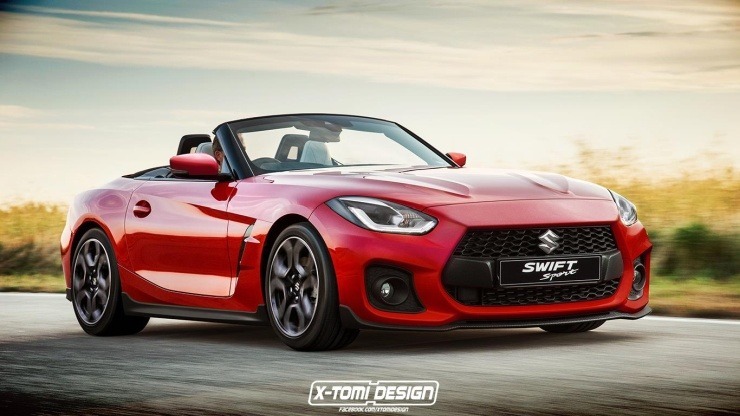 We really love the way the new Z4 roadster looks but the good folks at X-Tomi Design on Facebook have given the convertible a few parts from the Suzuki Swift Sport in a rendering that they have posted on Facebook. We feel that the mixture of the BMW Z4 roadster and the Suzuki Swift Sport hatchback looks simply too stunning. 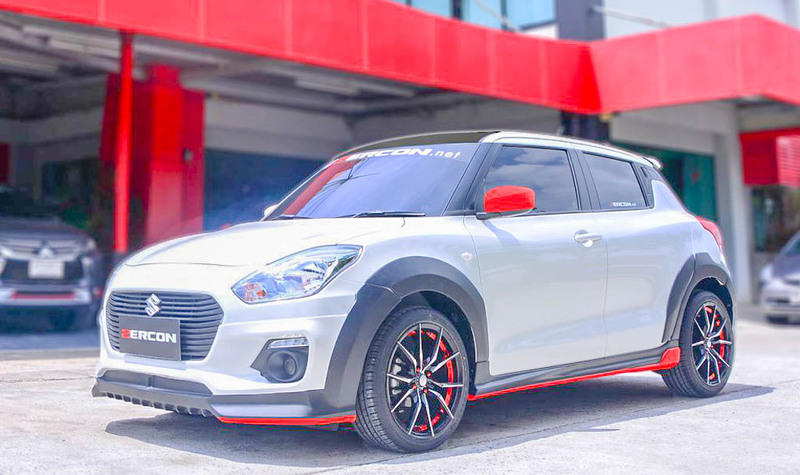 Taking the new BMW Z4 as the base car, the good folks at X-Tomi Design have transplanted several parts of the Suzuki Swift Sport on its front fascia. The front bumper, the grille, and the headlamps come from the Swift Sport. Also, even the side skirts, the ORVMs, and the alloy wheels have been taken from the Japanese hot hatch. The large grille and the swept-back headlamps make the Z4 in the rendering look simply too good. Honestly, thanks to the convertible body type and the aforementioned bits from the Swift, this BMW Z4 has a front-end that is highly reminiscent of the Jaguar F-Type. The new front bumper, from the Swift Sport, adds some visual width to the car, which, in turn, makes it look sportier. In the side profile, the biggest change comes in the form of the stylish wing mirrors from the Swift Sport. True, these mirrors look a bit too large on the convertible but they do help in establishing a connection between the two odd bed-partners. The Z4 also gets Swift Sport’s side skirts, which makes the Z4 look a bit more low slung. The alloy wheel design also comes from the Swift Sport. Of course, this isn’t a real car and has been created on Photoshop. So, you won’t have to be afraid of the car even getting the much smaller engine from the Japanese hatchback. The BMW Z4, in its stock form, comes with a 3.0-litre turbocharged V6 engine that outputs 340 bhp. It can sprint to 100 kmph in just 4.6 seconds.